With less than a month before the deadline for firms to submit their SEF applications to the CFTC, BGC becomes the second firm to announce their submission this week. Leading brokerage firms prominent in the OTC markets were expected to adhere to the CFTC rules under the Dodd- -Frank Act for trading of over the counter derivatives. BGC Partners, part of Cantor Fitzgerald, a listed US broker, has filed its application to operate as a SEF. The firm will offer its sophisticated technology to users, thus allowing them to operate with fully-compliant execution methodologies such as; anonymous Central Limit Order Book (CLOB), name disclosed Request for Quote (RFQ) system, Intra-day Electronic Auctions, Indications of Interest, and Voice Managed Orders for Blocks and Non-Blocks. In addition, BGC offers users the ability to segregate US person/non-US person transactions on both a graphical user interface (GUI) and application programming interface (API) via instrument choice and contra-counterparty filtering. The United States has been the first of the G20 members to implement rulings that affect OTC products. The world’s leading nations decided that OTC products need strong and more refined guidelines to avoid issues like the credit crisis. 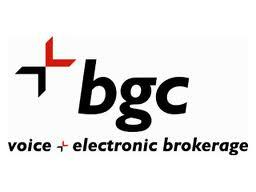 BGC is confident that its presence in the electronic trading environment during the last decade will keep it in good standing to provide solutions to its clients.